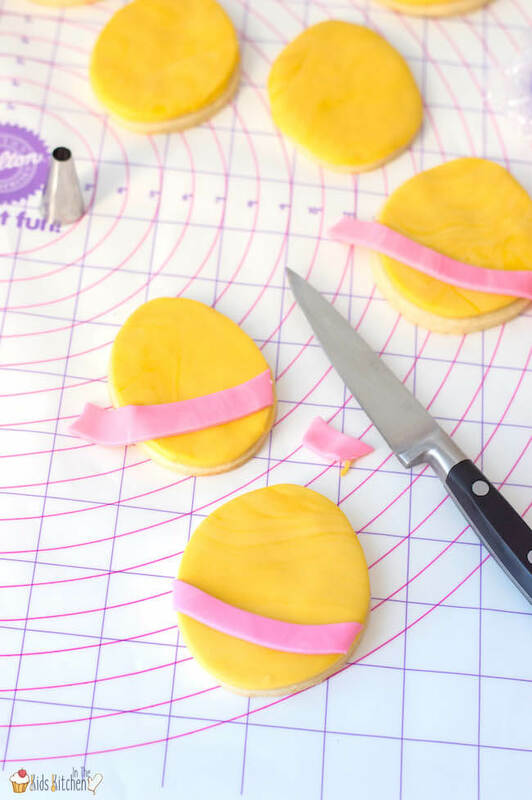 Inside: The quintessential Easter candy transformed! 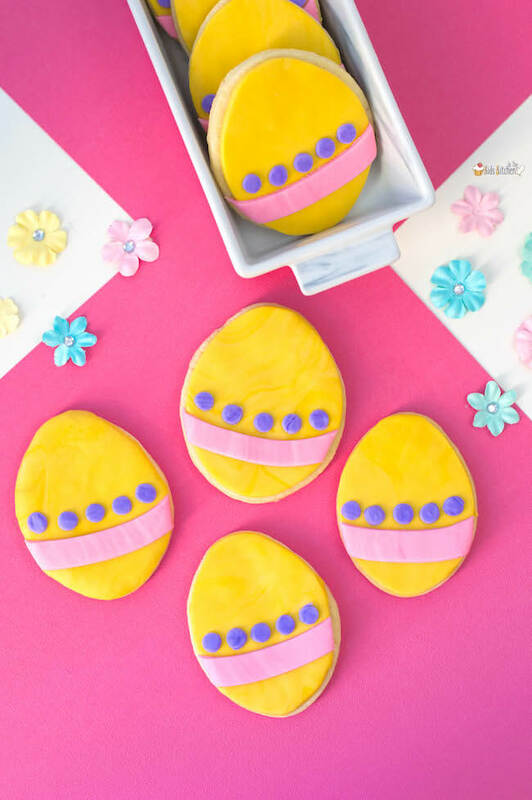 You’ve got to try these outrageously delicious Cadbury Eggs Recipes! 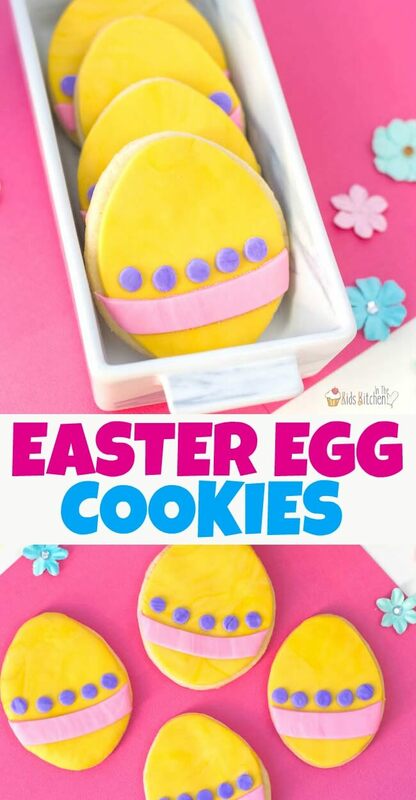 If you love Cadbury Eggs like we do, then this is the recipe collection you need to see! 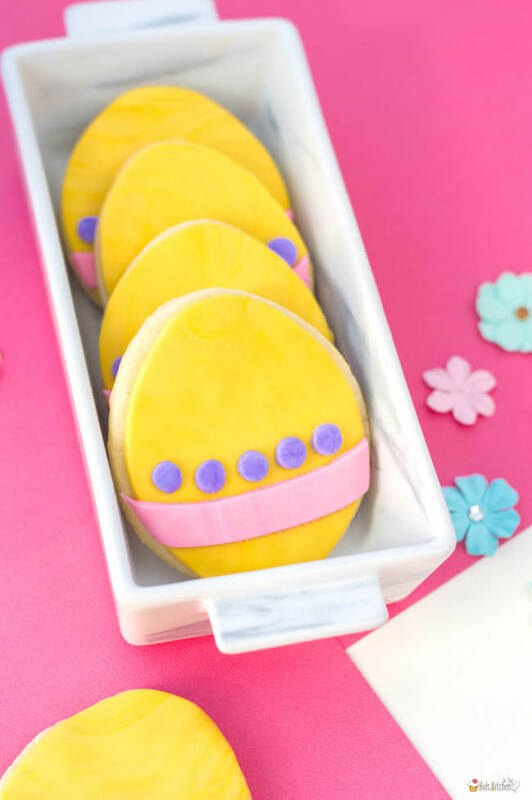 We’ve gathered up the 10 very best recipes made with Cadbury Eggs — from breakfast and brunch bites to decadent desserts. Pictured clockwise from top left; click on links below for the full step-by step recipes. Cadbury Creme Egg Dessert Lasagna (recipe on The Soccer Mom Blog) — Fluffy and creamy layers evoke all the flavors of this favorite Easter candy. 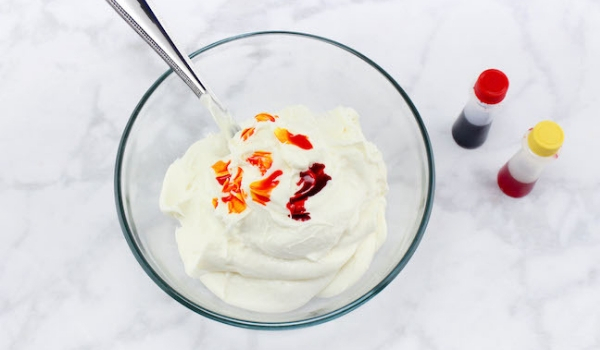 An easy no-bake recipe! Creme Egg Cake (recipe on Sugar Spice & Glitter) — A showstopping layer cake dripping with chocolate with Cadbury Creme Eggs baked right in! Cadbury Creme Egg Scottish Tablet (recipe on Foodie Quine) — A creamy, fudge-like dessert bar particular to Scotland, this version is packed full of creme eggs! Creme Egg Brownies (recipe available at Recipes from a Pantry) — Rich, chewy chocolate brownies + peanut butter swirl + creme eggs = dessert heaven! 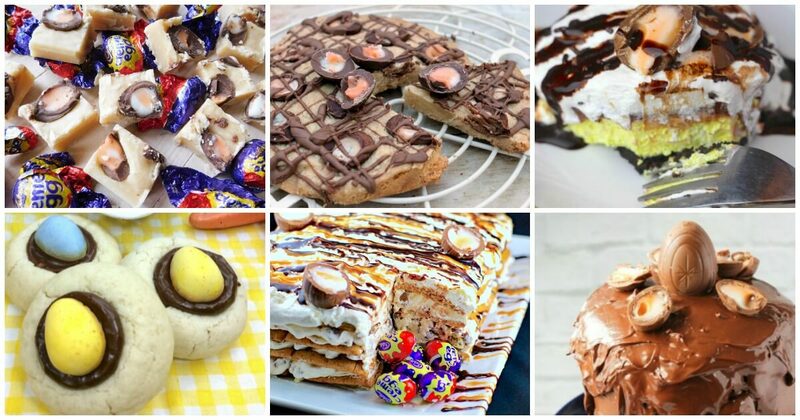 Easter Creme Egg Icebox Cake (recipe on Food Meanderings) — Layers of lusciousness and no baking required! 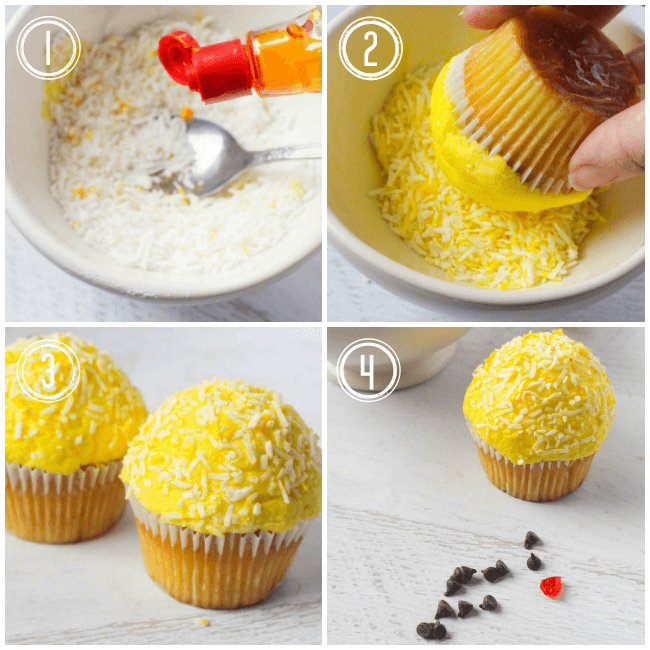 Cadbury Creme Egg Cupcakes (recipe on My Gorgeous Recipes) — There’s a “creme-y” surprise in every single cupcake! 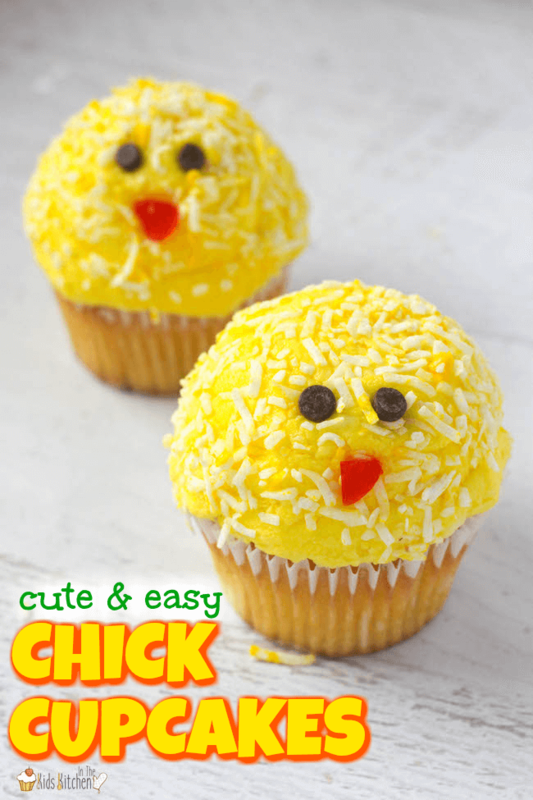 Be sure to check out our collection of adorable Easter cupcakes for kids too! 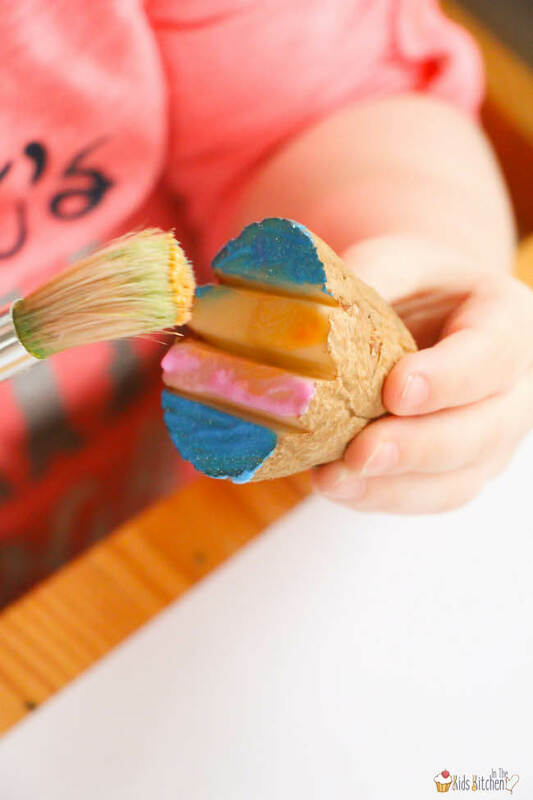 Easter Egg Potato Stamping is a classic kids’ activity and the perfect way to use up potatoes that are past their prime! 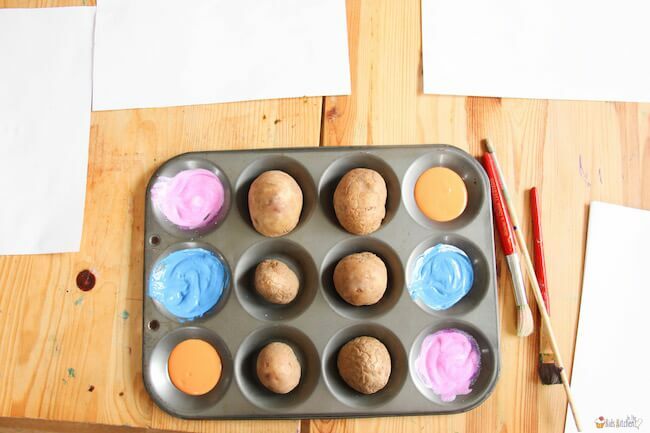 Use your potato stamps to make cute cards, bunting banners, or even DIY fabric napkins. 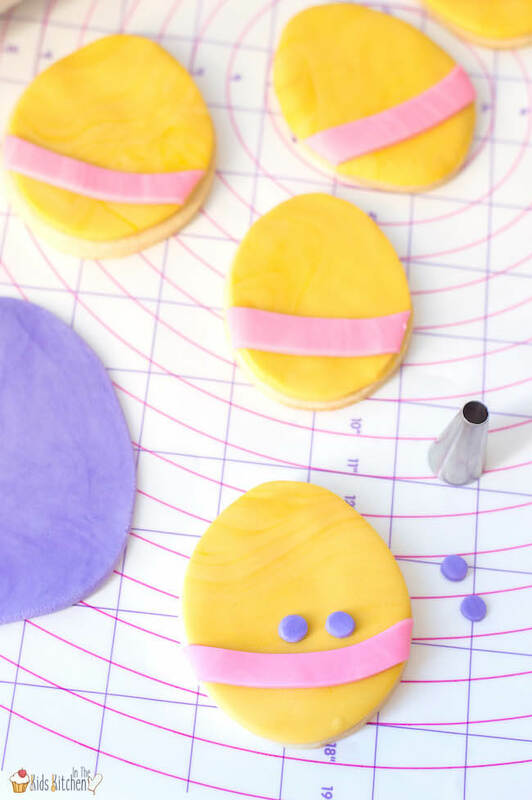 Be sure to grab our free printable at the bottom of this post to let kids design their own Easter prints! 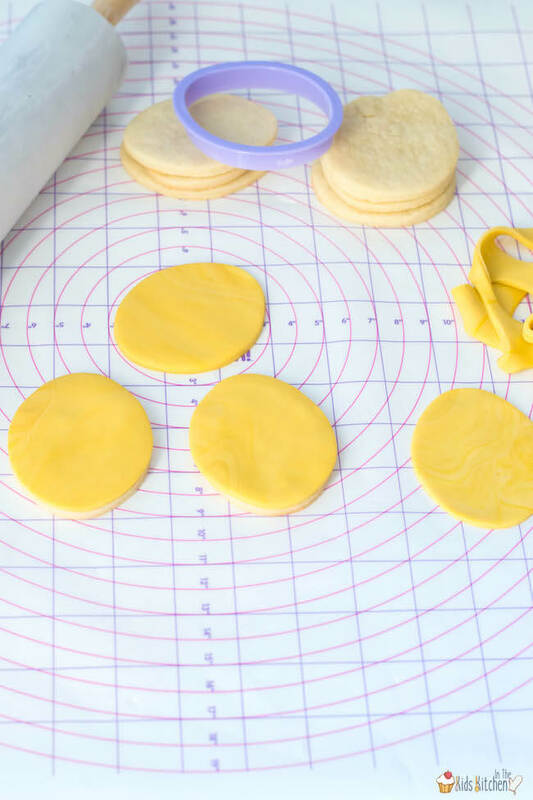 Potato stamping is a fun activity for kids anytime, but the oval shape the potato makes when cut in half is perfect for Easter eggs. 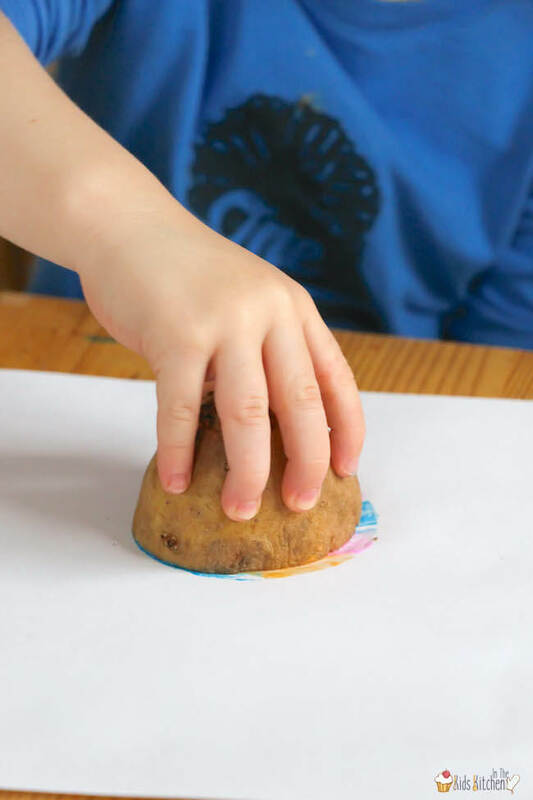 I wanted to create a simple solution so that kids could design their own Potato Stamps safely and without getting a whole bunch of potato starch on their markers. 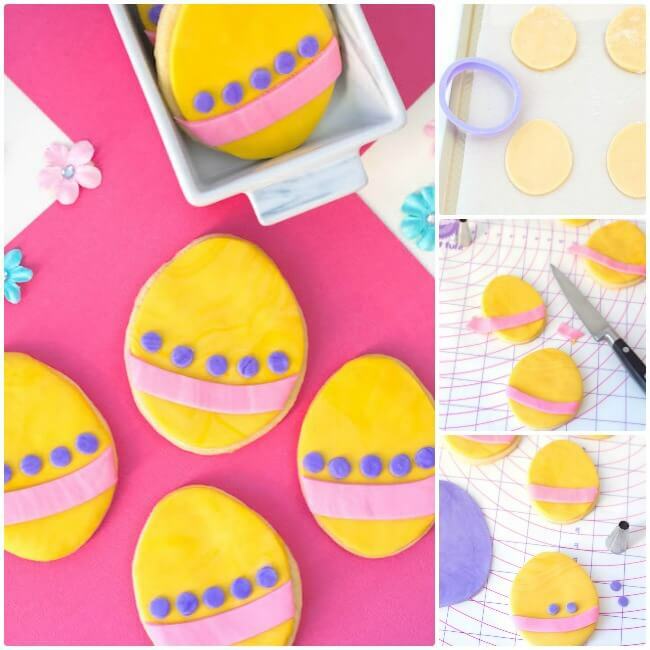 By providing some simple egg-shaped templates for the children to draw their own unique designs on, parents can confidently sculpt stamps out of potato that the kids are going to love. 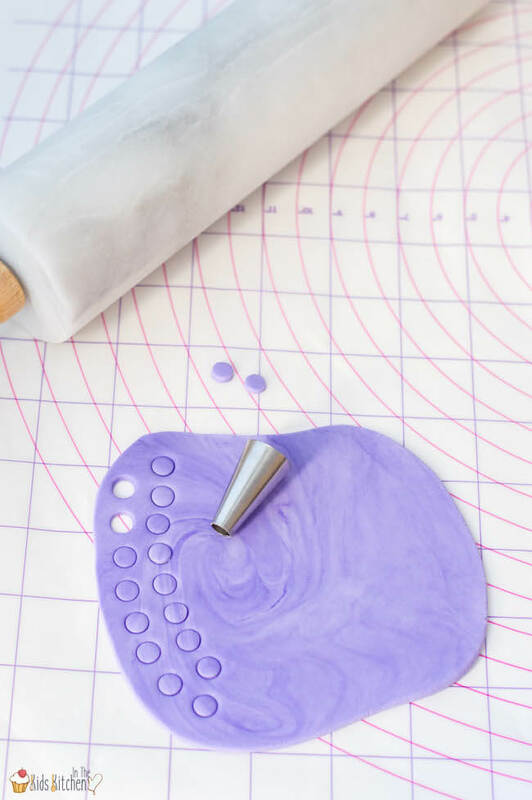 TIP: If stamping on fabric, be sure to use fabric paint that won’t flake off. 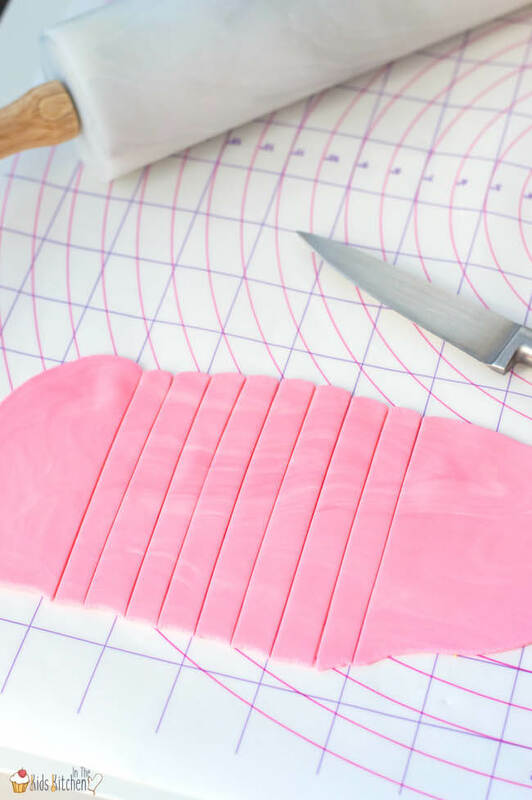 Tip: Clay working tools also work well to carve the potato. I’ve also been told that microwaving potatoes for 30 seconds helps soften them, however, I didn’t notice much difference. 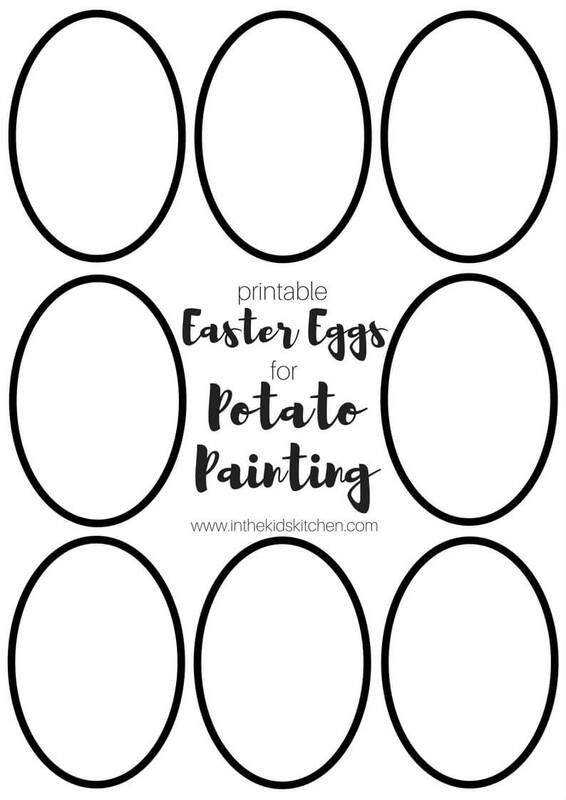 Let the kids design their perfect Easter Egg designs using the free printable template. 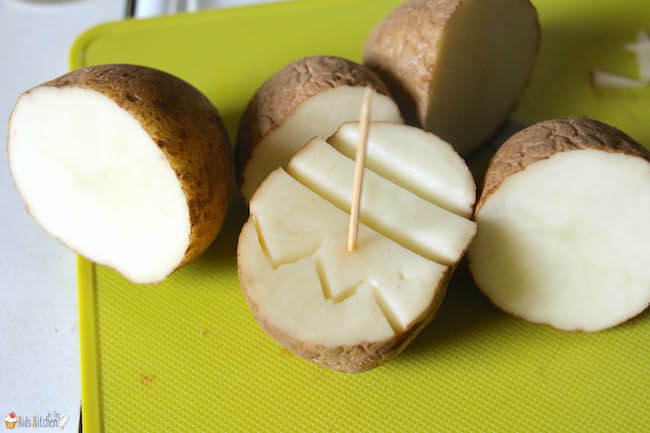 Cut a potato in half, and using a sharp knife and toothpicks, replicate the design as best you can onto the “cut” end of the potato. 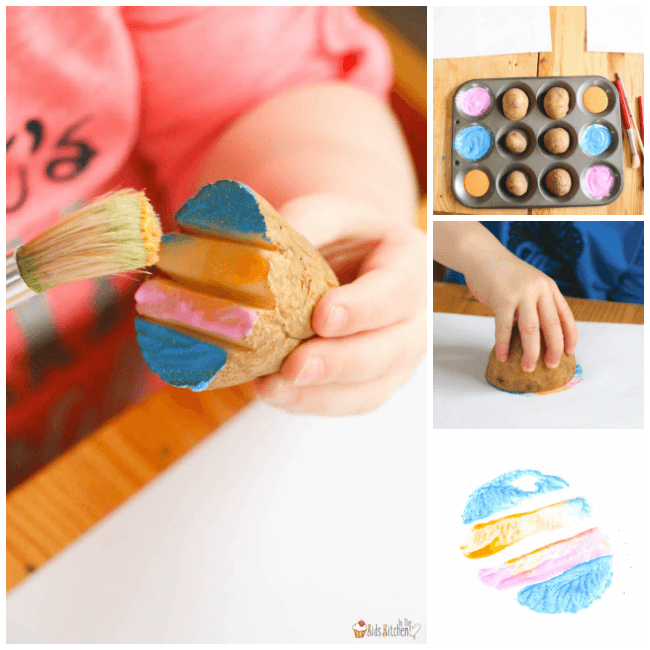 Add paint into a muffin pan for the perfect paint dipping experience for younger kids – or let kids use a paintbrush to exercise more control over what areas of the stamp receive paint or to create multi-colored designs. 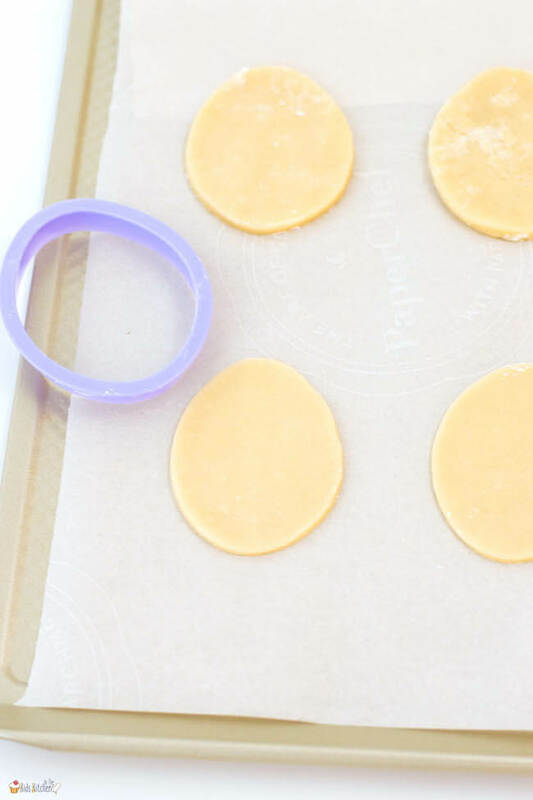 Press the potato stamp down evenly on cardstock and lift straight up to reveal your design. 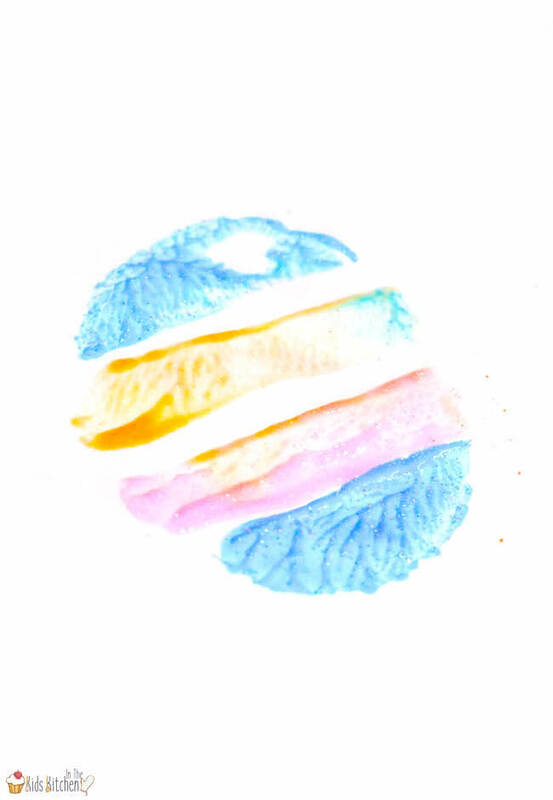 Let your designs dry before making into cards. 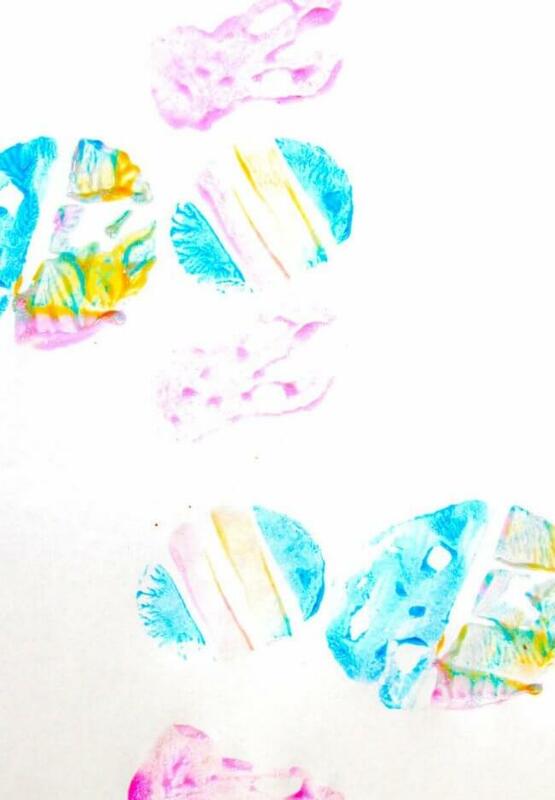 This Easter Egg Stamping method is quick and easy to set-up and clean-up, making it the perfect rainy Spring activity to get your kids excited about Easter. 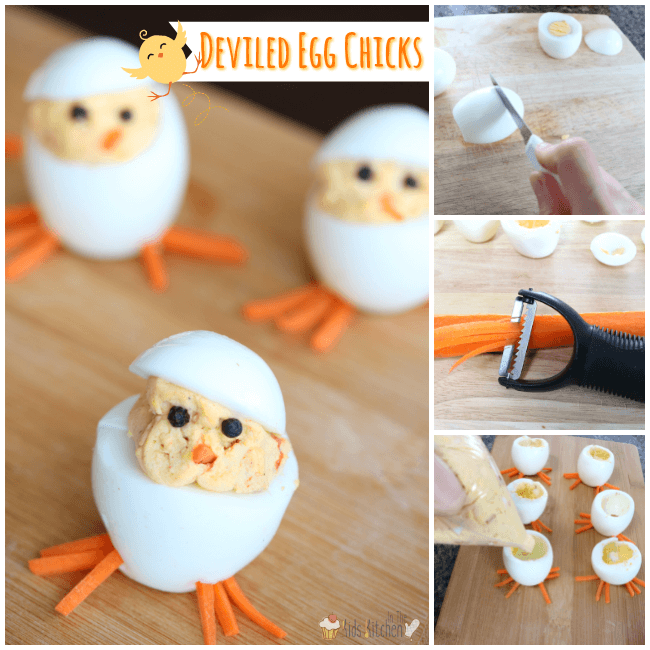 You might also love these fun Spring recipes: Easter Chick Cupcakes and Deviled Egg Chicks! 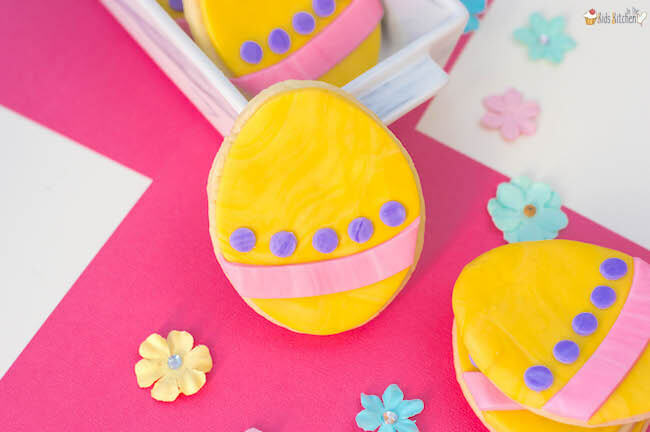 What’s Inside: 20+ absolutely adorable Easter Cupcakes recipes from our favorite food bloggers. 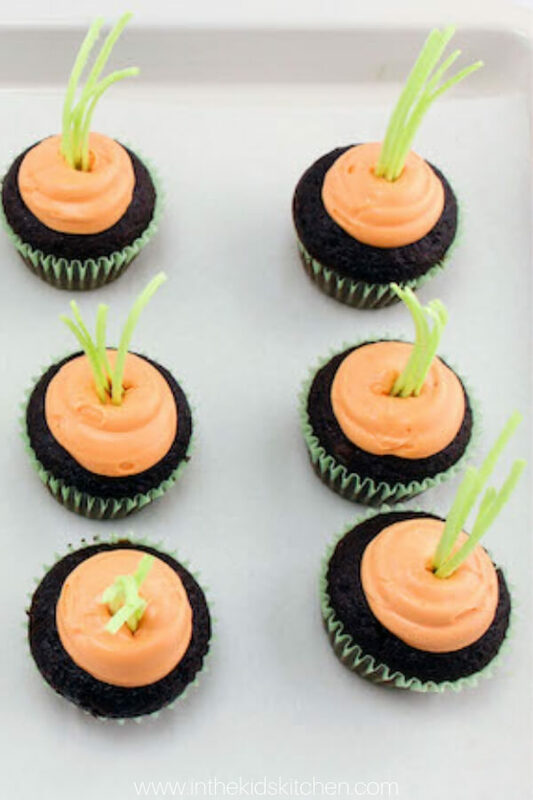 Cupcakes are my go-to dessert – single-serve, easier to decorate than a full cake, and always a crowd pleaser. 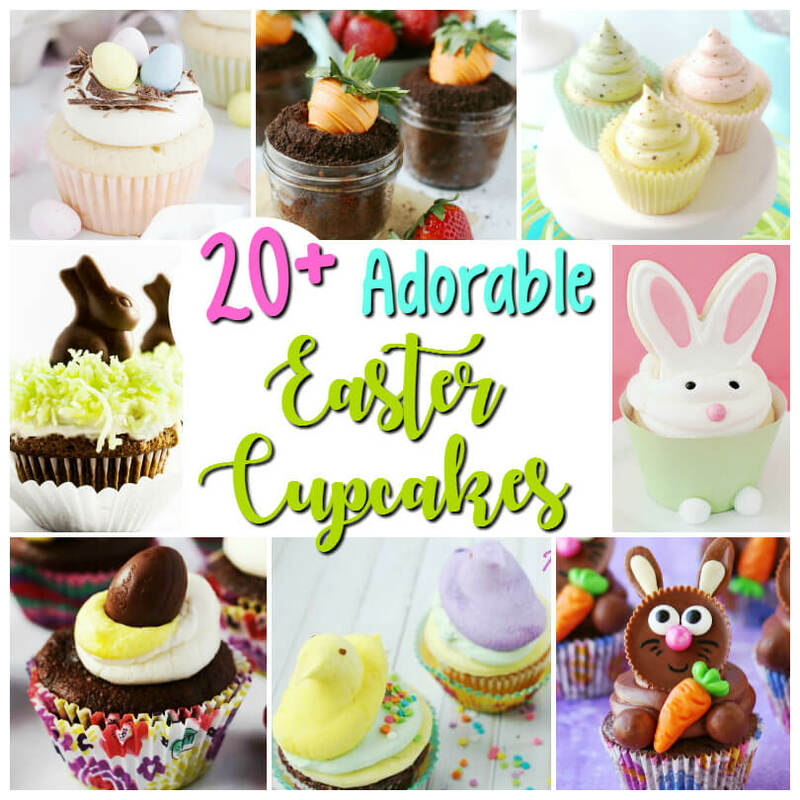 This gorgeous collection of 20+ Adorable Easter Cupcakes is chockfull of ideas for your own Easter celebrations – any of these cupcakes are sure to impress. 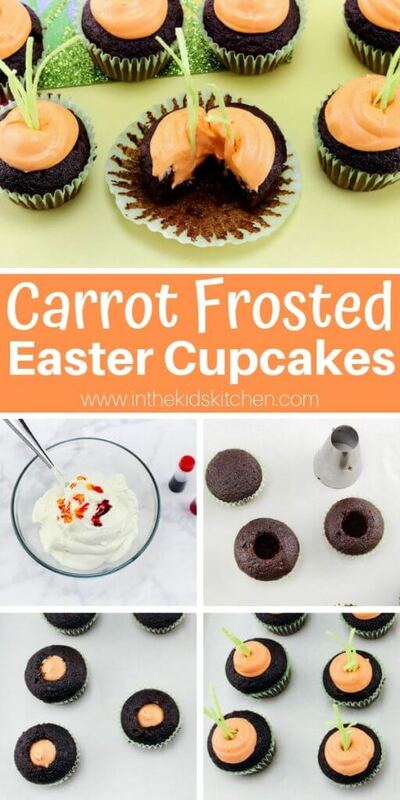 While most of these Easter Cupcake Recipes will include from-scratch recipe directions, if you’re pressed for time feel free to use boxed cake mix or store-bought muffins. 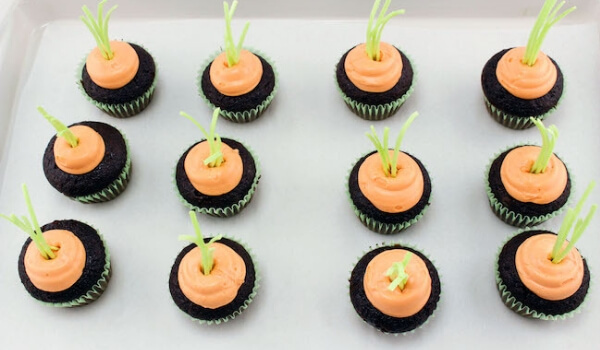 Personally, I prefer homemade frosting because it elevates your cupcakes to a whole other level. 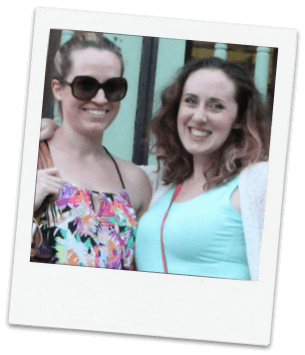 You might have a hard time going back to the fake stuff! 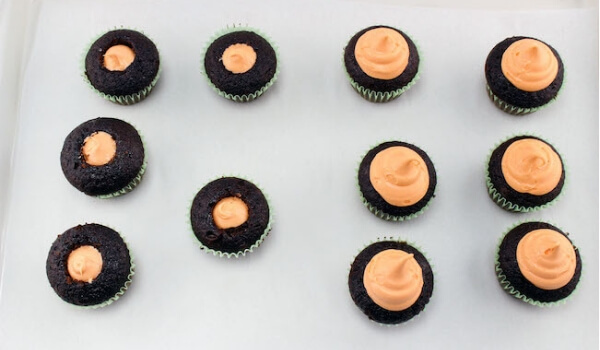 Making from-scratch frosting is easier than you’d think – often only 4-5 ingredients. 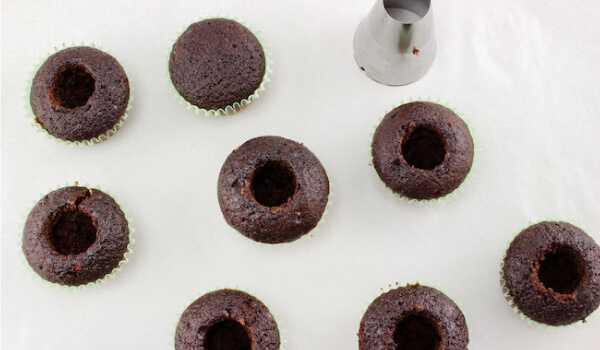 I was pleasantly surprised at how easy some of these recipes are! 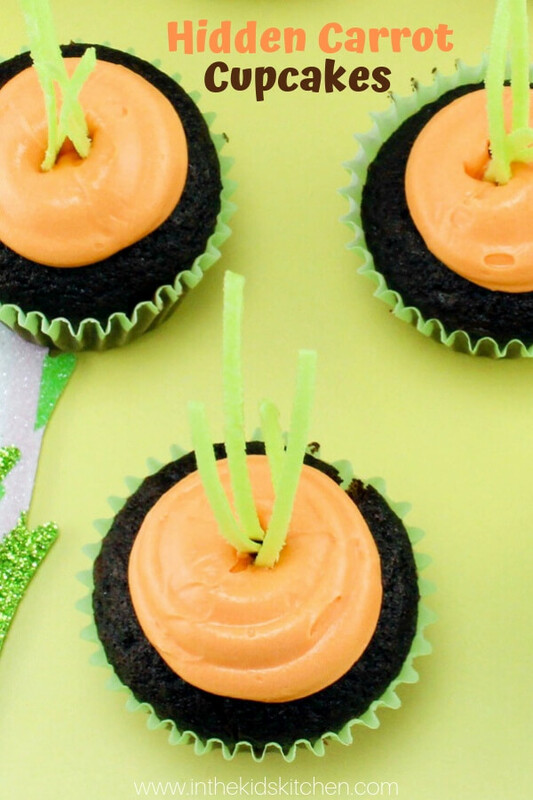 These bloggers are so incredibly talented at using things you may already have in your kitchen to create unique cupcake toppings! 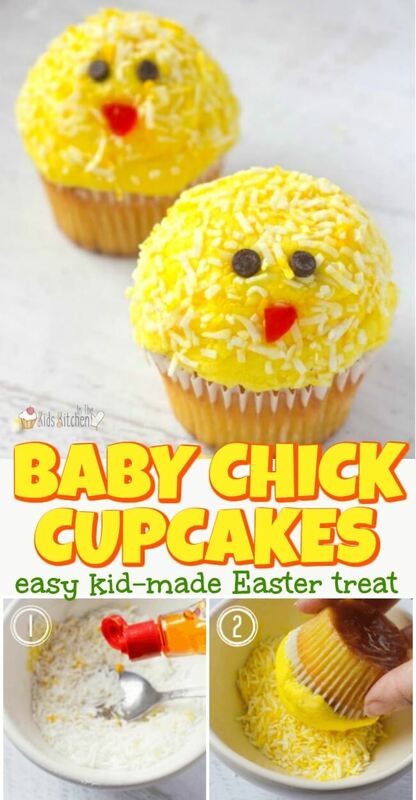 See more Easter cupcakes recipes below! 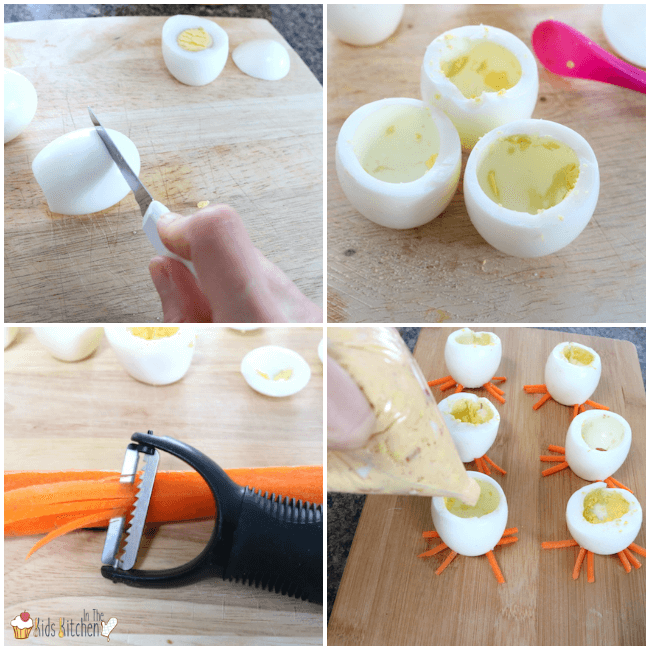 Peeps Cupcakes | Spaceships & Laserbeams ** shout-out, Jennifer actually made this recipe! 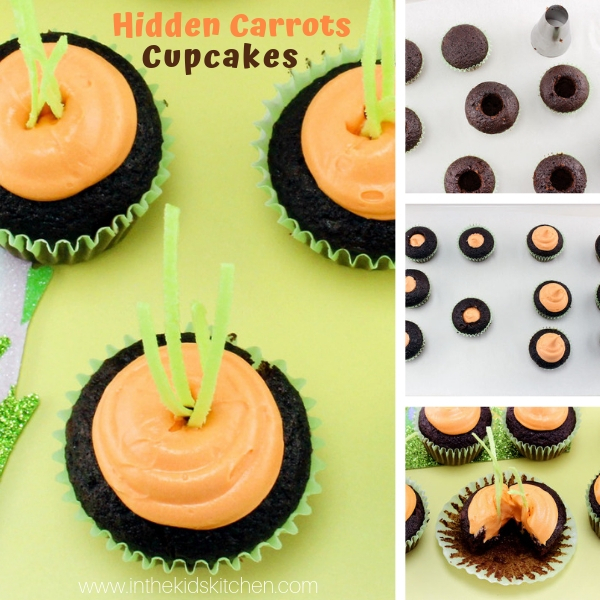 Cream Egg Cupcakes | Spaceships & Laserbeams **and this one, too! 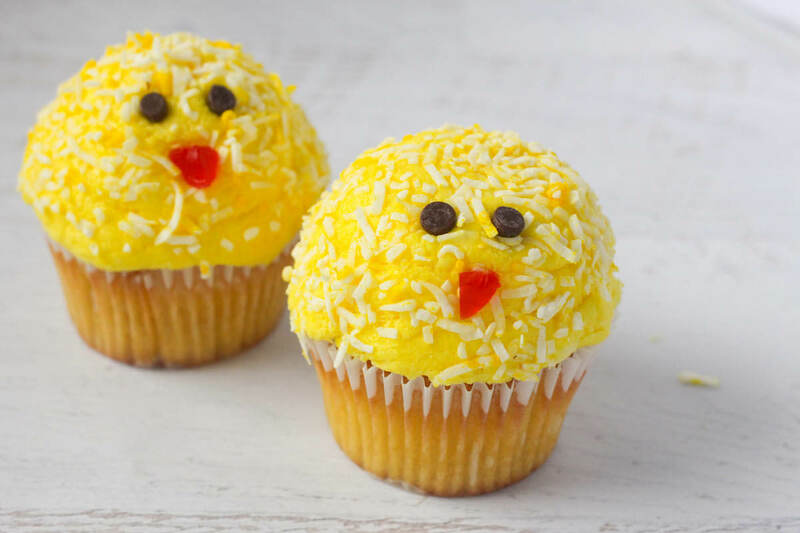 Which of these Easter Cupcake ideas did you like the best? 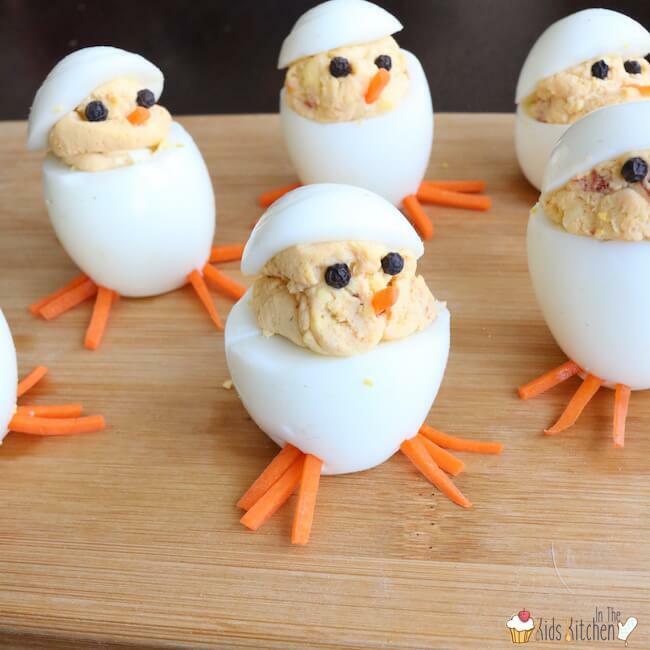 What are your plans for Easter this year?